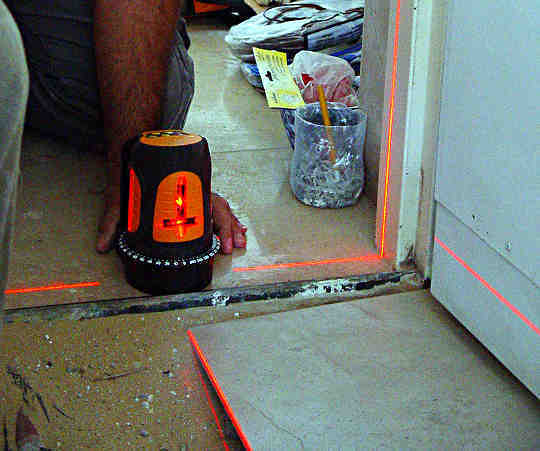 A small laser tool designed for fast setting out square lines on floors and walls for professional floor tilers. 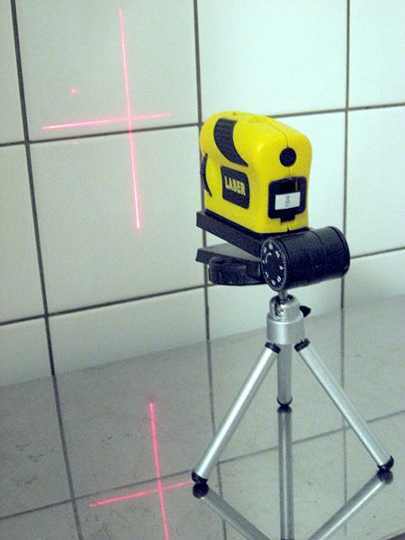 We have long had laser levels in construction, but bye and large they are big and expensive models that are out of the range of the sub-contracting trades. Not so the current crop of these laser technology devices. I would guess that in no time at all they will become standard equipent in many wall and floor tiler's tool kits. Here is a smaller and cheaper version on the same theme. A time consuming part of any ceramic flooring job is setting out the floor square. This tool would make it a breeze. Lay it on the floor and immediately be able to check walls for parallel and square, making fine adjustments quick and easy. I guess that it could be fixed to the first tile laid and then be used as a guide for the first row of tiles.